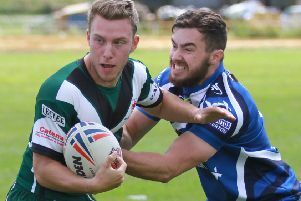 Boston Rugby Club head coach Ashley Coates believes he is currently in charge of the best team in the league. 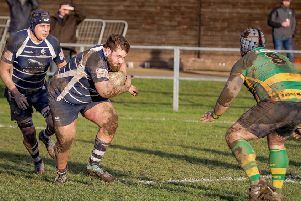 Saturday’s 28-22 victory over Midlands 4 East (North) leaders East Retford saw the Blue and Whites stretch their winning run to a superb seven contests. “I believe we’re the best team in the league right now. That’s not arrogance, it’s just the fact that things are falling into place and we have that belief,” said Coates. “We’ve been talking about pounding the rock, how it doesn’t break after one hit. But now we’re starting to break the rock. Breaking into the top four remains the goal for Boston this season, and with the league’s high-fliers preparing for a series of contests against one another, the sixth-placed Blue and Whites are looking to gain ground. “Now we have the opportunity to really take charge,” Coates added. “We’ve grown in belief and that’s shown in the results. “It’s a self-fulfilling prophecy: if you believe you’re unbeatable you play like you’re unbeatable and other teams start to fear you. “We’re closer to the teams above us than to those below us, and the top four are all playing each other. “If we keep winning we’ve got a chance to climb into the top four, which is our goal. Coates was quick to point out that the club’s current form is down to hard work from the squad and his team. He added: “The satisfying thing is that numbers in training haven’t fallen, and that reflects the work my assistants Dave Cotton-Betteridge and Michael Baldwin and captain Lewis Eldin have done in creating this atmosphere at the place. Boston are without a fixture this weekend but return to league action on February 9, hosting basement side Gainsborough at the Princess Royal Sports Arena.